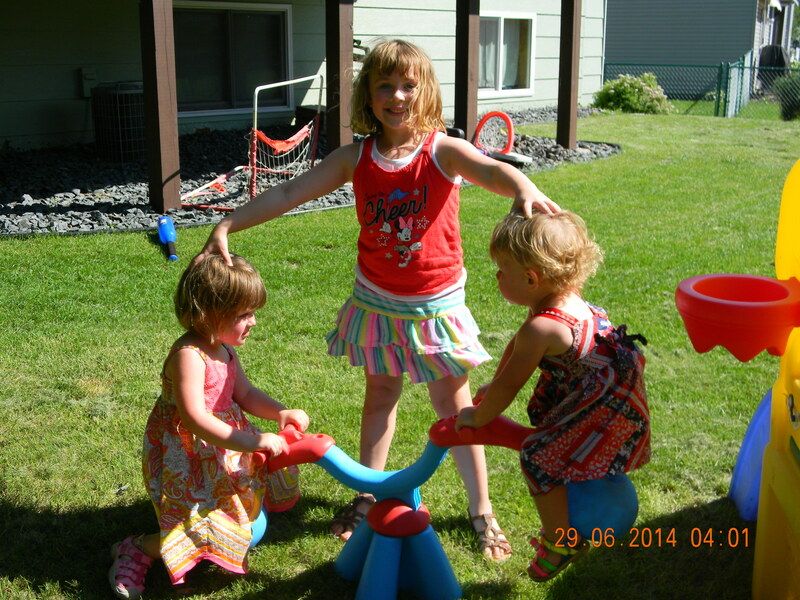 For her birthday, Bug got a miniature teeter-totter that also spins… Oh, the excitement. It finally got warm enough after this winter, so Mike set it up. Bug loves it and enjoys anyone who will teeter with her. Bits likes to do it, too, so she’s usually running across the lawn to get to it with her sister. However, her attention span isn’t the same as Bug’s so she usually gets off after a few ups and downs. 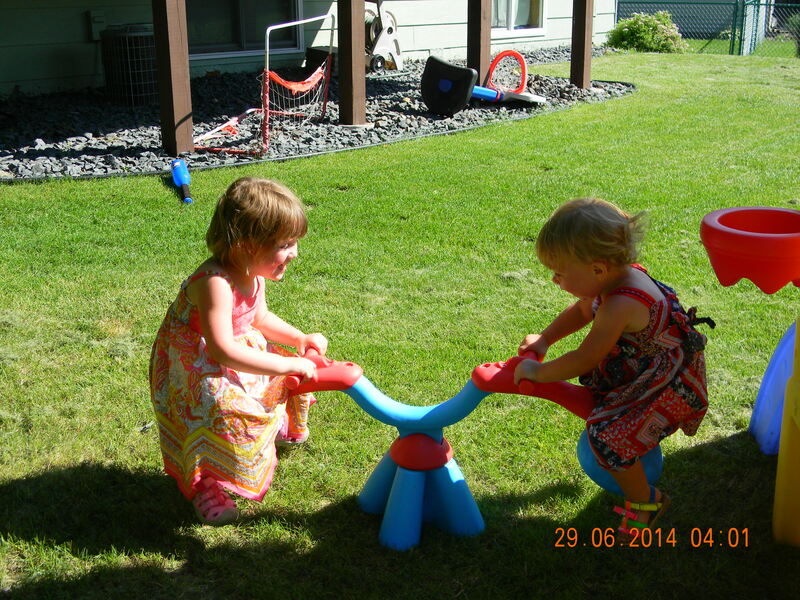 Last time, as soon as she started to look bored, Bug would ask her Peanut to come over and teeter totter with her. Immediately Bits would get right back on. 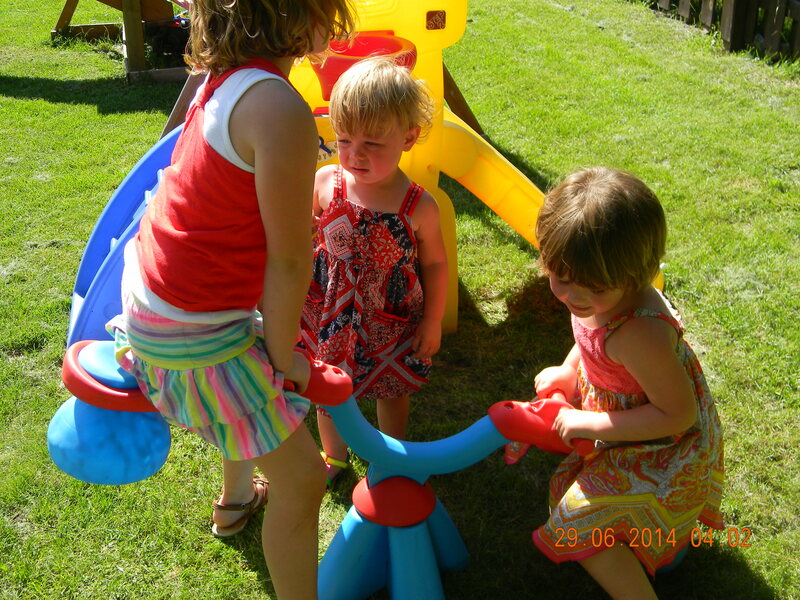 She’d teeter for a minute, start to get off, Bug would ask for her big sister, and we’d start all over. Finally Bug figured out to wait until Bits was all the way off and walking away before she asked. Didn’t matter. Bits came running back over and threw an amazing fit… Peanut said “I’m off. This is so not worth it. How dare you get on after I get off.